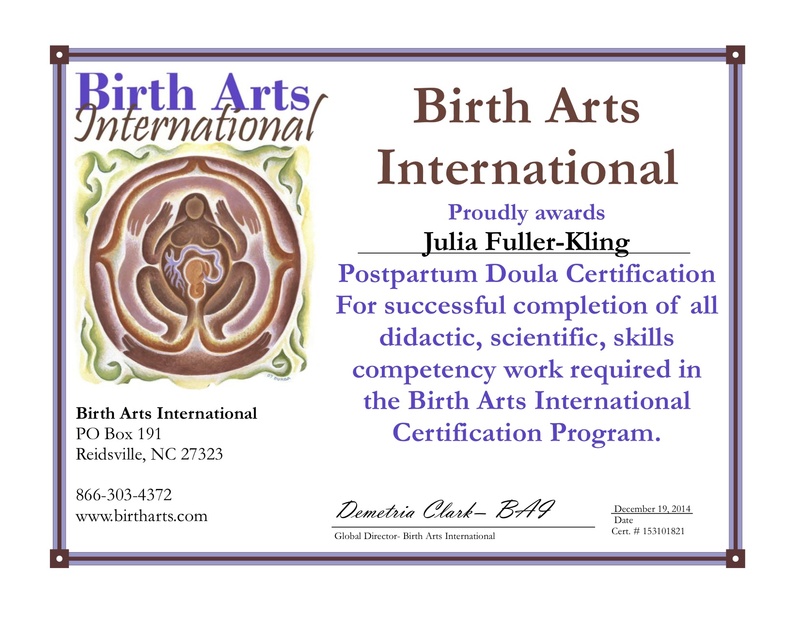 As a postpartum doula I nurture, nourish, and care for your family, and educate and inform by offering knowledge and insights from my degree in Child Psychology and nine years of experience caring for babies and toddlers. ~ Postpartum recovery and healing after childbirth through preparing herbal sitz baths, herbal teas, traditional belly binding/wrapping, pelvic floor exercises, foot reflexology, and more. I have experience helping mothers post-C-section.